Some folks refer to it as Old Town, yet it barely existed only 60 years ago. Others call it the Romantic Zone. Officially, it is Colonia Emiliano Zapata, named after the one of most famous leaders of the Mexican Revolution. 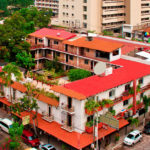 One of Puerto Vallarta’smost popular neighborhoods, it is ideal for exploring on foot. 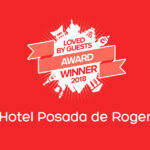 Founded in the early seventies, Hotel Posada de Roger (Roger’s Inn) was one of this neighborhood’s first hotels. Since then, this family-owned business has expanded and modernized—while maintaining its warm-hearted colonial charm and grace. Each of its 47 rooms has a different structure, design, and decor. The hotel itself boasts a communal kitchen and dining area, a rooftop swimming pool, an ample sun terrace and a restaurant, among other services and amenities. The very name Posada; its wrought-iron main entryway; the rooms adjoining the patio’s fountain; the natural red brick walls; corners softened by small gardens; and thriving, colorful plants in huge terra cotta flower-pots are elements that give the hotel its atmosphere—a refreshing , old-world, colonial family hacienda, distinguishing it as a very traditional Mexican corner in Puerto Vallarta. Our curb-appeal awakens the curiosity of many of our neighborhood’s passers-by. 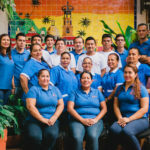 And it’s very common that some tourists—after having enjoyed a stay in time-share resorts or luxury hotels in the Marina or Nuevo Vallarta, and having discoveredHotel Posada de Roger while walking through the Romantic Zone—decide to extend their vacations for a few more days to lodge with us. Word-of-mouth continues to be the most effective way to generate our new customers, including many guests who also recommend the hotel via social media and blogs. Thanks to our hotel’s size, our service is very personalized, allowing a family-like relationship between staff and guests. We know most of our customers personally, and we always address them by name. The southern expansion of the Malecón (our seaside Boardwalk) grants easy access to Emiliano Zapata along the beach. A few blocks inland, it can be reached along its main southbound and northbound roads, as well as by the three suspension pedestrian bridges connecting it to Isla Rio Cuale. Exploring the neighborhood can be as cosmopolitan or as traditional as you want it to be, depending on where you choose to go. Stay close to Los Muertos Beach to experience one of Puerto Vallarta’s most lively tourist areas, particularly along Olas Altas and Basilio Badillo, where side-by-side restaurants, hotels such as Hotel Posada de Roger, shops, cafes, and art galleries welcome visitors day and night. For a more traditional experience, heading inland along its streets is reminiscent of exploring many Mexican towns. The sheer number of taco stands and other eateries lining Emiliano Zapata’s streets may both intrigue and intimidate some tourists, so both daytime and evening street-food tours have proven popular, serving to connect visitors with authentic Mexican foods and to highlight the many charms of the colonia—on foot, of course. Join us in Puerto Vallarta! 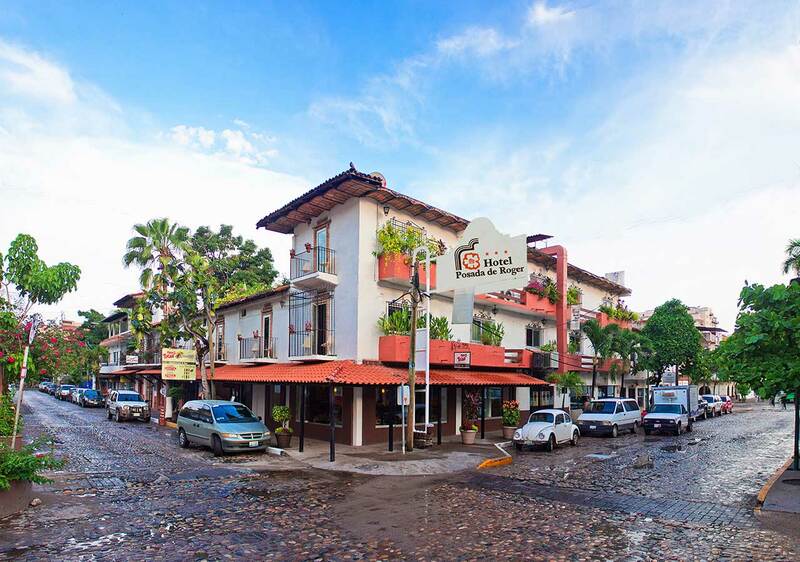 Enjoy a Real Mexican-style Hotel in downtown Puerto Vallarta, surrounded by beautiful gardens and authentic Mexican architecture. Our personalized service, always cordial and efficient, guarantees that you will return home with a smile on your face!.